Posted on December 1, 2015, updated December 15, 2015. 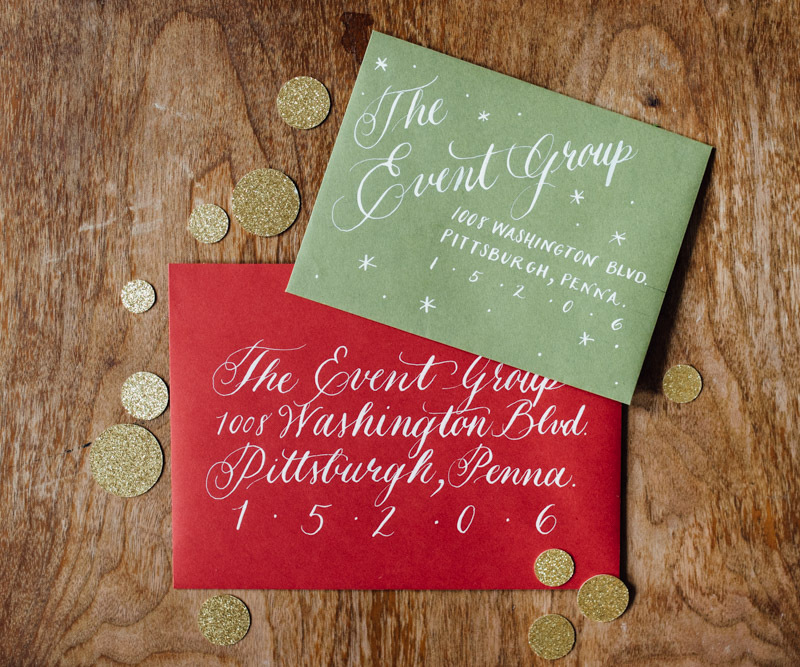 The holidays are quickly approaching, and with the first snow comes a flurry of festively addressed invitations and holiday cards! Swoon-worthy paper goods always seem to put a little extra pep in our step and is there anything quite like opening your mailbox to a beautifully hand-written envelope?! 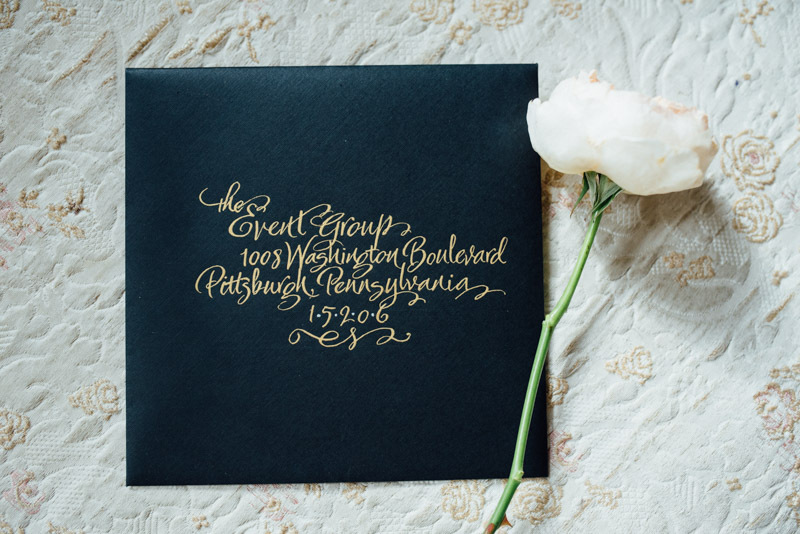 With a flick of the wrist and some luxe paper goods, calligraphers transform the most simplest of invitations into one-of-a-kind works of art. 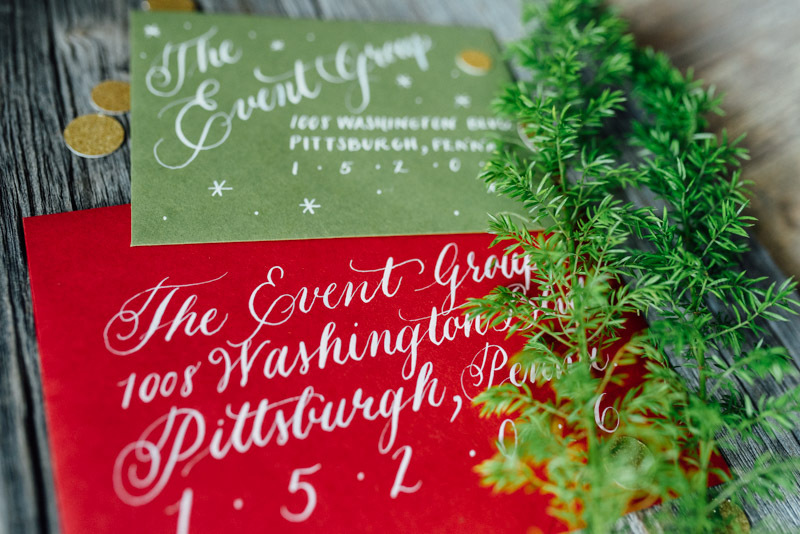 We have teamed up with two amazing local calligraphers, Marianne Chijner and Jessi Evans (of Orchard & Co.), to showcase different design takes on the written word. Whether your style is traditional or modern, whimsical or regal, these quick videos will provide you with the holiday inspiration you need to celebrate stylishly! And check out these stunning shots from Eva Lin Photography!